YouView's User Interface will play a vital role in its eventual success or failure, according to CEO Richard Halton, with the way in which people find their programmes on the platform likely to evolve over time. YouView, formerly known as Project Canvas, is the scheme by major UK bodies such as the BBC, BT and ITV to get IPTV into the general public's living room. Speaking to TechRadar, Halton indicated that there getting to the variety of on-demand and catch-up content would not be limited to a single route. 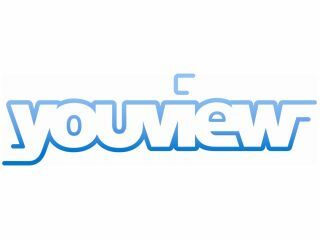 "We feel that you have to offer lots of different ways to find your content," said Halton at the launch of the YouView brand. "The way I tend to talk about it is even the same viewer will want to find content in different ways. "Your mum might want to go backwards in time on the EPG but she might also find it easier to find it by search. "Search is important – but we are interested to see what the route it is that people use the most." Halton believes that YouView will evolve as patterns of user behaviour become clear, and that this will help define the user interface. "It is software and in terms of developing you can continue to develop it," added Halton. The final version of the UI has only been glimpsed, but it's clear that those involved realise that there is little point in having a wealth of linear, VOD and pay options if people cannot find them.